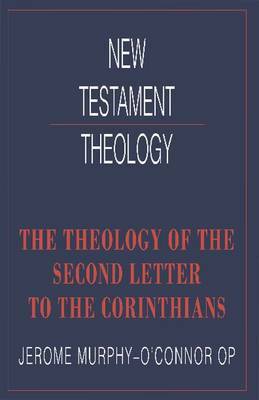 The Second Letter to the Corinthians is one of Paul's most intriguing epistles. In reality, it comprises two documents. In the first, Paul cautiously attempts to repair the damage done to his relations with the Corinthians by an earlier letter (1 Corinthians) and to deal with the upset caused by the presence in Corinth of rival missionaries from Jerusalem. In the second, he reacts angrily against an unexpected further deterioration of the situation at Corinth. The resonances in the dialogue between Paul and the parties in question cannot be detected easily without some awareness on the reader's part of the social, religious, and economic situation of the Christian community to which Paul was writing. The aim of this book is to integrate such background information into a flowing exposition of the apostle's thought, and thus to bring Paul's theology to life by highlighting the complex interplay of factors which prompted him to write in the way he did. Father Murphy-O'Connor is an experienced New Testament scholar, and his lucid survey - while providing an accessible introduction to the epistle and its central concerns - brings new insights into the relation of Christ to the ministry of the church.